In case you didn’t know, I have been hosting a craft challenge here at Rustic Crafts. 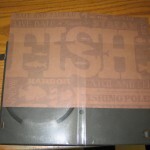 Many people, like myself, now use DVD albums to store their dvd’s to save on a whole lot of room. The problem is that this leaves a pile of discarded DVD cases. 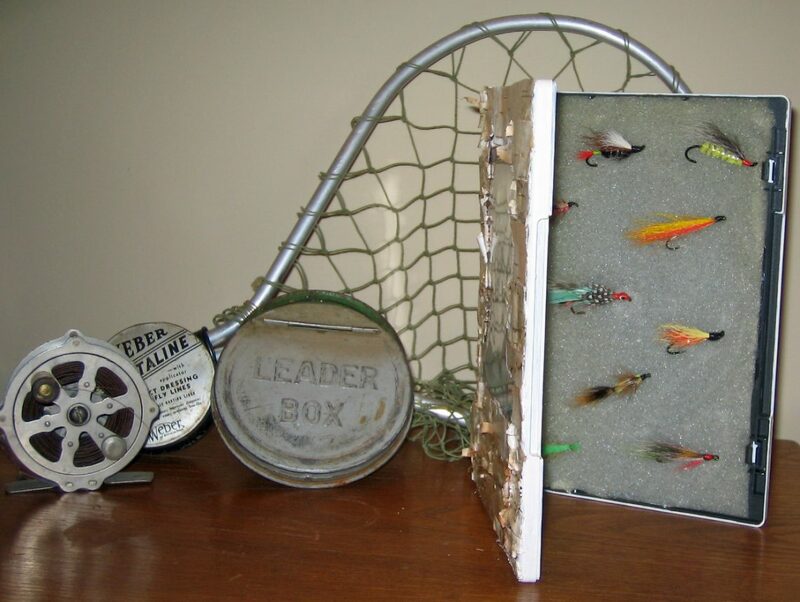 My challenge was to take a case and turn it into a useful item or a crafty decor piece. It took me a little while to come up with an idea but then I spotted some flies that my husband had placed in my craft room. I am planning on framing some of them – but that is for another project! It occurred to me that it would be nice to have a little container to keep some of the special flies in. So, wa-laa – I came up with my project idea. 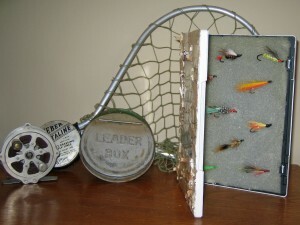 The dvd case was the perfect size for a fly box. The first thing I needed to do was cut two pieces of thin foam, the sizes of the inside. Using tacky glue, I coated each side of the case with glue and then layed down the foam on each side and let dry. This gave me a soft surface for the flies to lay on and I could also poke the hooks into the foam to hold the flies in place. 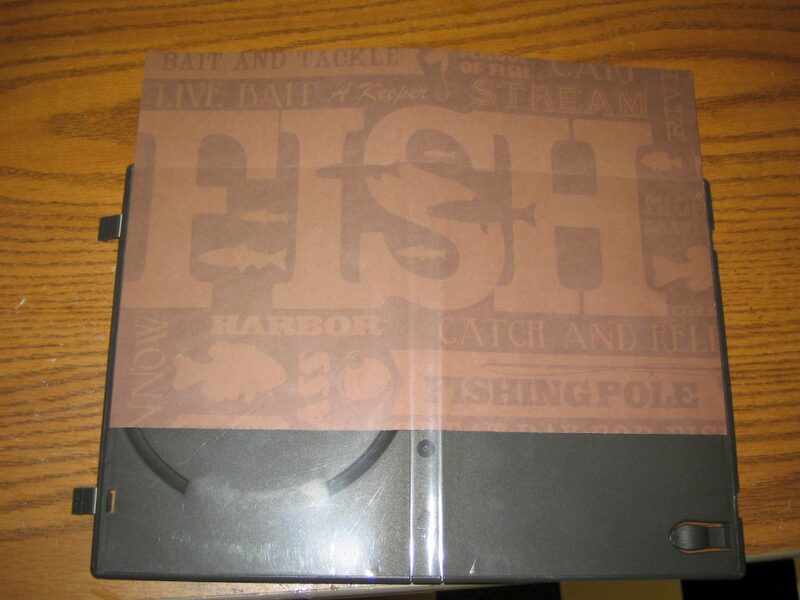 Next, I cut a piece of patterned construction paper to fit the insert where the movie jacket used to be. I opened the case completely to be able to slide the paper through easily. Before sliding the paper in for good, I added a couple of card stock stickers for added embellishment. I could have been done right there but decided to add some birch bark and paint to the outside. I had a slab of birch that had been in storage for a couple of years and the bark was easy to peel in thin layers. Using tacky glue again, I adhered each piece of birch bark to the outside of the case in a layered fashion. I then put a coat of decoupage over the birch to seal and protect it. I couldn’t get birch around the top and inside lips of the cover so I painted those a satin cream color to blend with the birch. I inserted the flies and the project was complete!